Hanging Around With Pete Polar Bear. 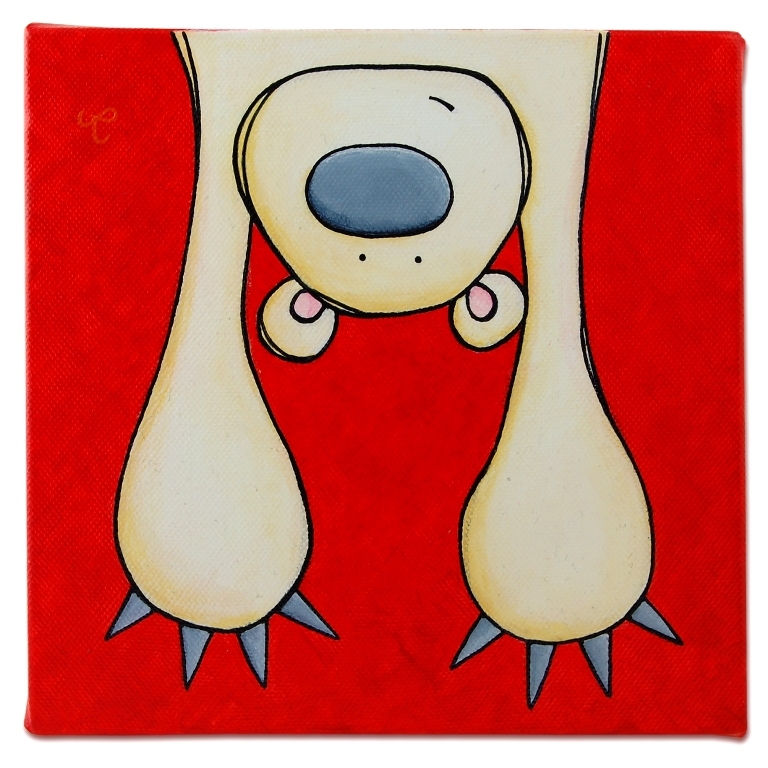 Pete can be a cheeky polar bear but he’s good fun to hang around with. 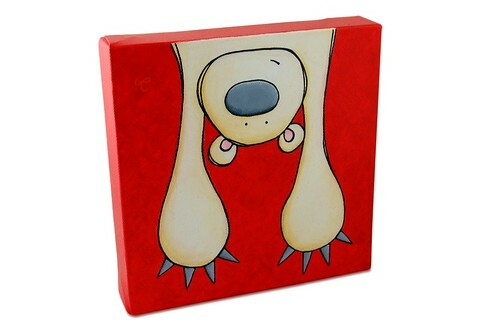 Some have suggested you can hang the painting upside down so he has his paws thrown up in the air! Acrylic on box canvas. Approx 20cm x 20cm. These are just too much fun! Ahhhh, I love the big fat nose and the tiny tiny eyes.